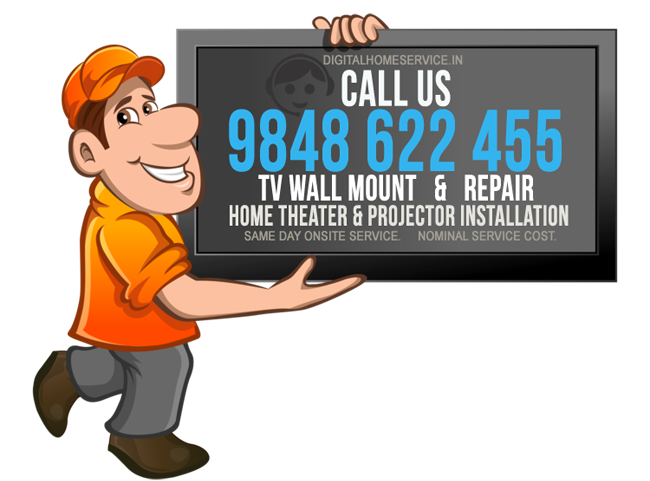 Anjana sri electronics offering DVD PLAYER REPAIR AND SERVICE at your door step in Hyderabad. We do repair and service for all types of dvd players such as Sony, Philips, Samsung, Onida , Philips, Akai, Zebronics, Mitashi, Panasonic, LG etc and all other brands.we people are assured to give the 100% satisfactory to our customers. For the repair of dvd player we generally charge 150 r.s which is very low when compared to the other electronic servies in Hyderabad. Customer satisfaction is our first priority , so we always try to do our best to solve all types of dvd players repairing and servicing in Hyderabad. We know you time is precious to us. We try to come as early as possible up on call and determing your dvd player issue. *We are not Company service providers, we are third party service providers charge amount for the installation.